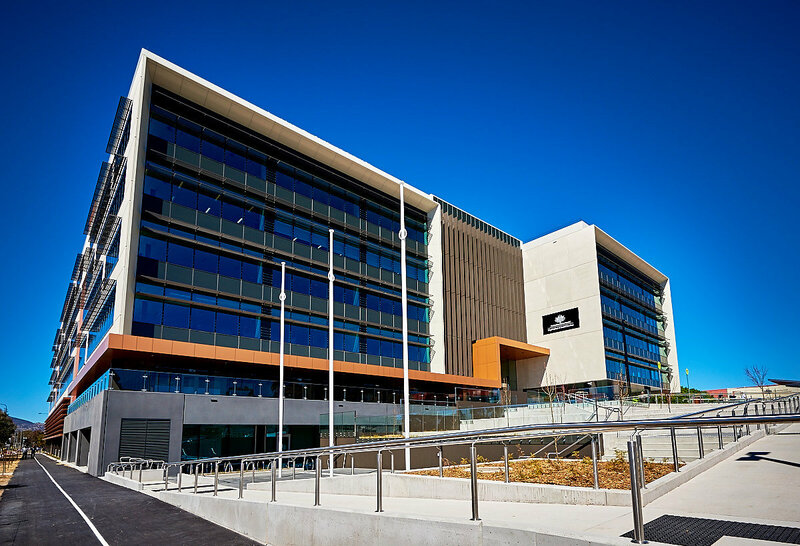 In September 2017, the Department of Social Services (DSS) moved into its newly-constructed headquarters at Soward Way, Greenway in the ACT. Integral to the design was a resilient, highly flexible network solution that could support future technological changes and continuously improve operational management of the building. 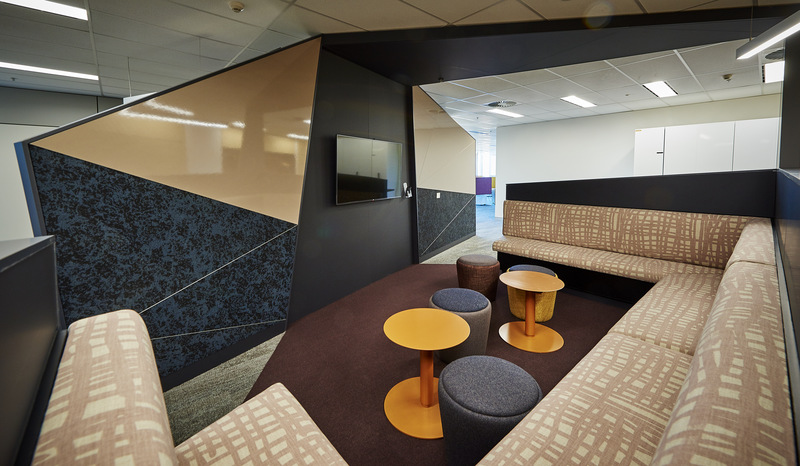 Testament to this, the building received a 5-Star Green Star Office Design v3 rating, with the tenancy NABERS rating receiving 5.5-Star, exceeding the original 4.5-Star commitment. This achievement is due, in part, to the innovative design and implementation of the Building Services Network (BSN). Cromwell commissioned award winning technical solutions company, Airmaster, to implement a cutting edge solution. In order for the BSN to provide a stable, failsafe and resilient network for the day-to-day running of the building, robust server infrastructure with reliable power distribution units and uninterruptible power supplies was required. DSS had strict requirements in terms of cybersecurity and safety of the data that is created and stored there. These aspects were taken into consideration throughout the solution development. As such, a comprehensive edge computing solution was implemented to ensure the BSN has maximum uptime and the building runs efficiently and effectively. Edge computing allows data from devices to be analysed at the ‘edge’ of the network before being sent to a data centre or the cloud. A Building Services Network provides high speed data transfer between all engineering systems such as the building management system, security, lighting control, energy metering and more, thereby providing all the data required to streamline operational management of the building. The BSN reduces the amount of cabled infrastructure and hardware required as it combines passive structured cabling with active networking to support the large amount of information being transmitted throughout the building. The addition of high-resolution CCTV, access panels and multi-tenant WiFi means the backbone of the building needs to be able to provide sufficient bandwidth to meet these and other future new technologies. This is achieved through the BSN’s design, which allows for either a reduction or elimination of the need for multiple cabling distribution systems, parallel networks and additional headend (communication receiving) equipment. With a greater shift towards operating ‘smarter’ buildings, the success of a BSN is in its ability to collect, store, analyse and use data across many disparate control systems in a single structure. Enabling edge computing and smart building applications, the BSN is a unique application of existing information technology systems utilising a number of sensors which monitor all the services throughout the building. This crossover of IT, sensors and operational technology infrastructure is becoming more common as the Internet of Things phenomenon continues to take hold. The design has also incorporated the provision that, in the event of a complete power failure, including generator and base building uninterruptible power supply failure, the BSN will still operate. This configuration provides 30 minutes of backup power to activate alarms across the building’s services, and to allow safe shutdown of equipment. All alarms are sent via the BSN, at which point rules are applied and alarms are communicated to key stakeholders for actions. The BSN also notifies stakeholders when the building power is restored and alarms are cleared. The Internet of Things (IoT) is, simply, the concept of connecting almost any device with an on and off switch to the internet. This can range from the obvious, such as mobile phones and wearable devices, to the more obscure, such as coffee makers, washing machines and lamps. It is anticipated that by next year, there will be anywhere from 25 to 100 billion connected devices. The IoT is a giant network of connected ‘things’, with relationships between people and people, people and things, and things and things. In addition to many other benefits, the BSN strengthens the building’s cybersecurity credentials through reducing the number of internet-connected systems within the building to just one. Offsite, the BSN can only be accessed via a secure VPN, and onsite, every port on the building is locked to a specific IP address. If a foreign device is plugged into the port, access is disabled. By locking services into the BSN, the cybersecurity of the building has been significantly increased by reducing the number of ways in which access can be gained, and therefore, exploited. Additional ongoing improvements as a result of the data provided by the BSN relate to the building’s plant control strategy and lighting. The plant control strategy has been changed for the chillers and cooling towers, which work together to condition the air in the building. Prior to this change, the strategy was for two chillers and cooling towers to be operational at all times. However, the new strategy factors in the lower-than-anticipated building load to run a single chiller and cooling tower where necessary, and increase output to two or more only when required. Additionally, while the LED lighting throughout the building already promotes sustainability, Cromwell’s Facilities Management team was able to develop a night time lighting program which increases operational efficiency off the back of data provided by the BSN. They placed the lighting on an astronomical timeclock to ensure the lighting is being triggered at exactly the right time each day, based on sunrise and sunset. Additionally, the lighting automatically turns off between midnight and 6am each night. The concept of running all building services via one sophisticated BSN is proving to be successful at Soward Way. The innovative nature of the system enables the building to be smarter, while also addressing new technology and concerns. As such, Cromwell will look to adopt similar innovative BSNs across its portfolio.